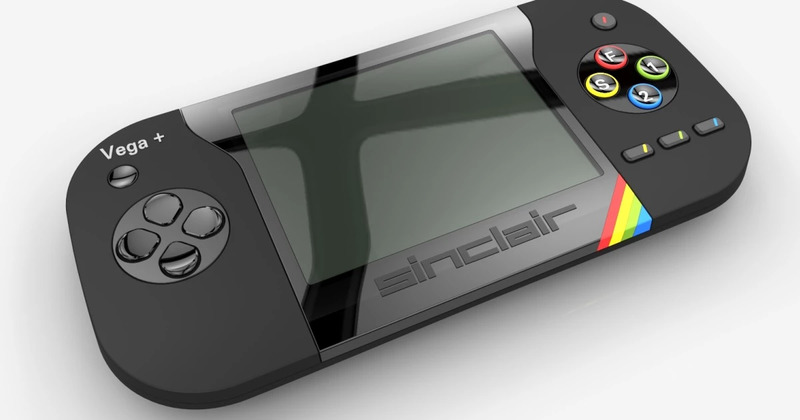 If you’re a fan of retro gaming you’ll be excited about the forthcoming release from Sir Clive Sinclair and Retro Computers Ltd -the Sinclair ZX Spectrum Vega+. Their plan was to set up a crowdfunding project through Indiegogo to fund this and within just 3 days they had raised an amazing £150,000. To date this total is just under £400,000!! Rick Dickinson, who also designed the Sinclair ZX80, ZX81 and ZX Spectrum is the concept designer of the case, and Chris Smith and his team designed and developed the Vega+ technology. The original Sinclair ZX Spectrum was immensely popular in the 1980’s with my personal favourite games Manic Minor, Jet Set Willy and Chuckie Egg amongst the 1000’s of games that they released. This new hand-held console (due out around August) will come with a 1,000 pre-loaded, licensed games and 13,000 more which will be available to download free from the internet. All this for around £100….